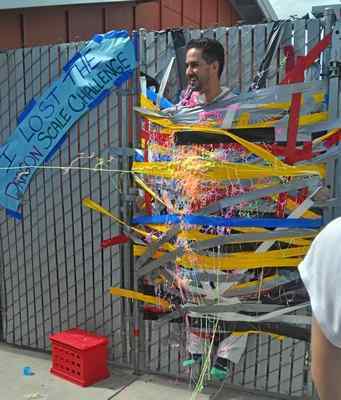 Hearthstone School Principal Nick Catomerisios is taped to a wall at the school and sprayed with silly string by students. Catomerisios agreed to the schoolwide activity to reward the students for positive behavior. Under a new behavior approach used by the school, students are recognized for their positive behavior and rewarded as a school.